In typical Microsoft fashion, these features have been made available with little fanfare or guidance. Let's take a look at each to see how they can help Windows shops secure their computers and networks. Windows 7 offers a small but incredibly important improvement over Vista in its handling of firewall profiles. Vista allowed users to set up different firewall profiles for public, private and domain connections. A private network might be your home Wi-Fi network; aside from having the right WEP or WPA key, you don't need any credentials to log in, but you trust it more than a public network like a coffee shop hot spot. A domain network requires authentication -- a password, fingerprint, smart card or some combination of factors -- to log in. First, while fingerprint scanners could formerly be used to log onto a computer but not to log onto a corporate domain (a corporate network or network subsection), the Windows Biometric Framework allows domain log-in. 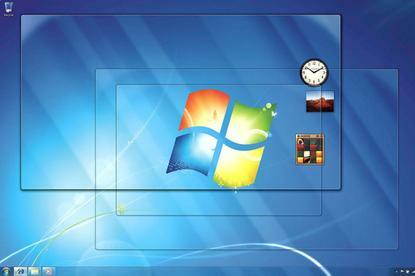 Encrypted removable drives can be created only on Enterprise and Ultimate editions of Windows 7, but once you've created one, you can read from and write to it from any Windows 7 computer. You can also install a reader application on the encrypted drive that allows read-only access from Vista and XP computers.